Price Reduced for Quick Sale! DonÃ¢â‚¬â„¢t miss the opportunity to own a piece of Del Mar Heaven. 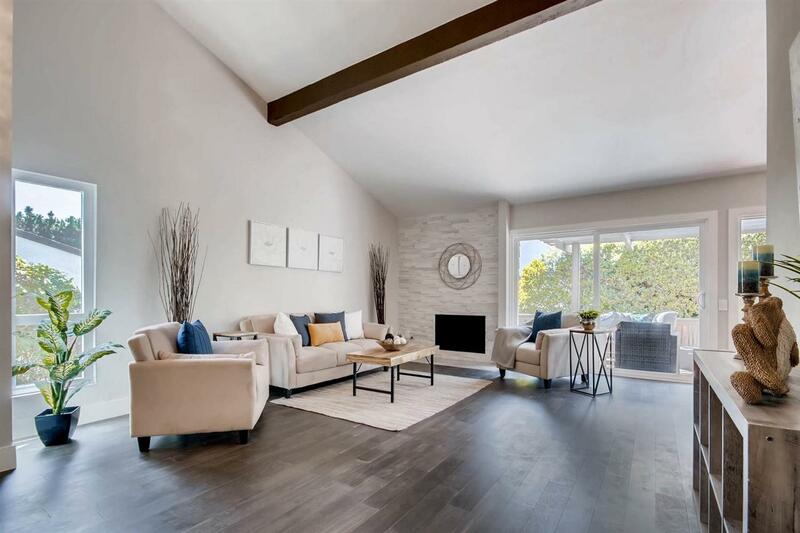 Not a detail was missed on this stunning 2 bed 2 bath remodeled modern amenity single story condo. Includes all new kitchen with vaulted ceilings, LED lighting, New Gas Heater, Quartz Vanities, Shaker cabinets, Quartz counters, Hardwood floors throughout, Samsung stainless appliances, peninsula breakfast bar, pantry and private patio with Ocean Views! Walk to the beach in 2 minutes! See Supp. Expansive living room hosts contemporary fireplace tile and 2 new sliding doors leading to a private patio with Ocean Views! The Sea Village community offers 2 pools and spas, tennis courts, private dog-friendly park and kids play area with a volleyball court. Did I mention a putting green all within walking distance to world-famous Torrey Pines beach, restaurants, shops and more. Great curb appeal with newly landscaped exterior. DonÃ¢â‚¬â„¢t wait long to see this one - It will NOT last! Listing provided courtesy of Paracapital Group. Listing information © 2019 San Diego MLS, Inc.